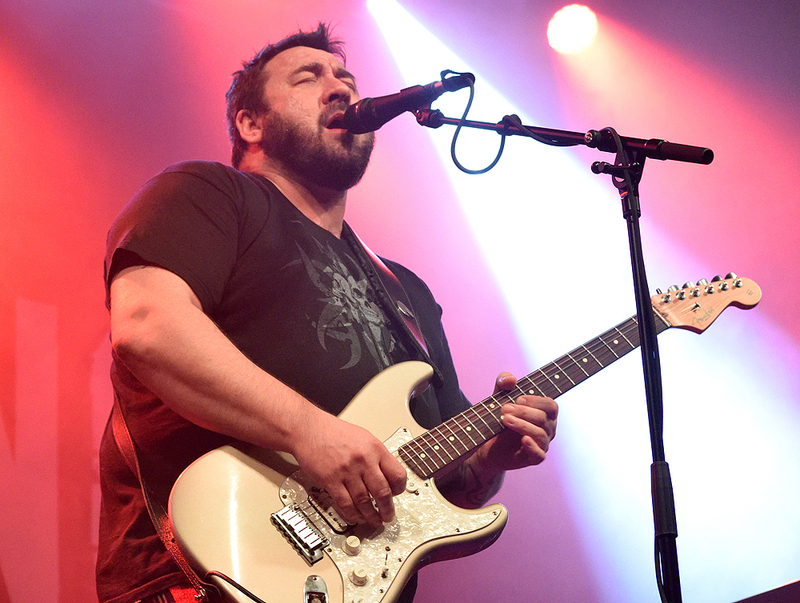 Share the post "Gig review: KING KING – Koko, London, 7 February 2019"
King King’s steady rise to prominence over the past decade has now taken on a new chapter with the band signed to a stateside management agency. 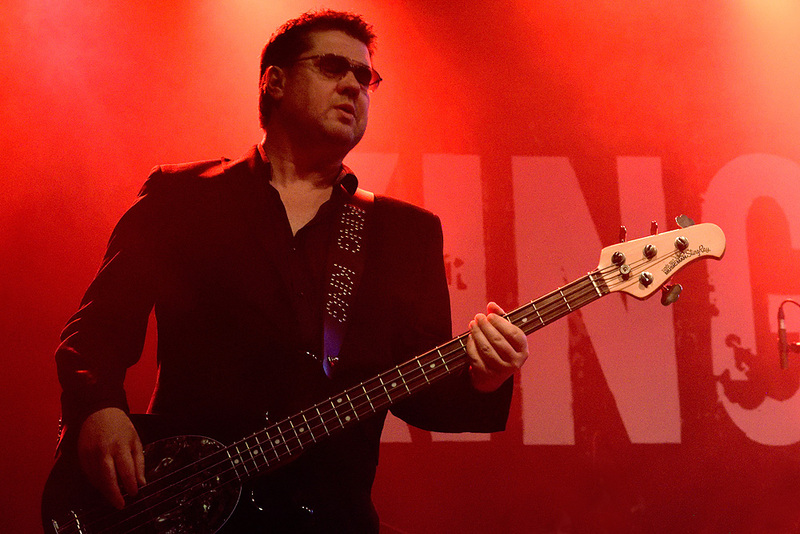 However there are always casualties in the process of change and in this case, bassist Lindsay Coulson who founded the band with Alan Nimmo chose the moment to announce he could not commit to this enhanced schedule including worldwide touring. This headline UK tour therefore served as a farewell and closed one chapter in the band’s career and ushered in another. However, at least for now their popularity seems to have hit a plateau – on arriving at Koko we were ushered into the downstairs area with the luxurious balconies unused apart from a select few guests. 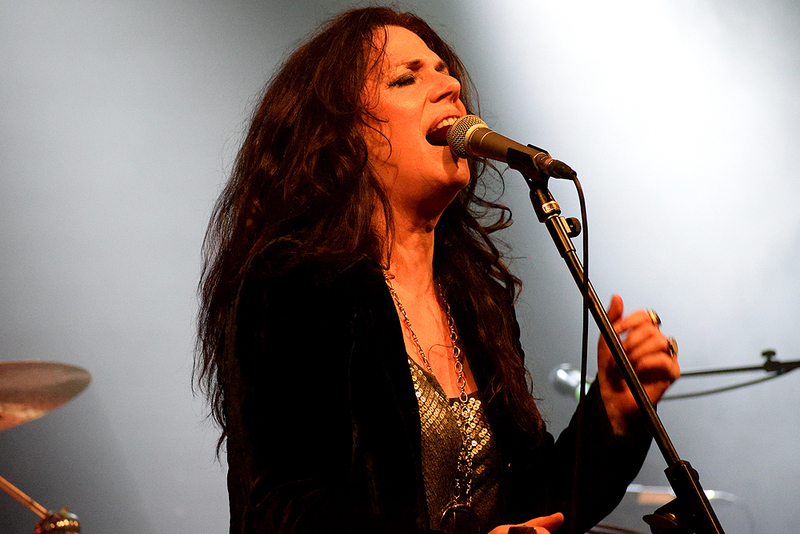 There was a very well matched support in Sari Schorr. Hitting the stage a good few moments after her band for maximum effect, I knew what to expect from the dark haired New Yorker having seen her recent headline appearance at the 100 Club, though there had been a line-up change since with one seasoned keyboard player Steve Watts replacing another in Bob Fridzema. Much like King King, the way she belted out opener ‘The New Revolution’ showed how she has broadened her blues roots to encompass a more straight ahead rock direction, while ‘Damn The Reason’ had a slightly steadier pace but a great chorus, guitarist Ash Wilson and bassist Mat Beable supplying very effective backing vocals. Indeed with the strength of her own material, this time I thought her cover of ‘Ready For Love’ (very accurately introduced as a Mott the Hoople song even if Bad Company’s version has become the standard) was relatively weak compared to home-penned gems such as the Robert Johnson homage ‘King Of Rock n Roll’ with a throatily-delivered chorus hook that was lodging in my head. ‘Thank You’ was a good example of how a rockier approach suits her band with some fiery wah-wah guitar from Ash, while Sari’s husky treatment of the title track of her current ‘Never Say Never’ album had me drawing comparisons with Melissa Etheridge. She even changed the setlist to slip in the lively ‘Maybe I’m Fooling’ in recognition of the fact it had received radio airplay while ‘Valentina’ closed a highly impressive 40 minute set in rather more straight ahead 12 bar fashion. 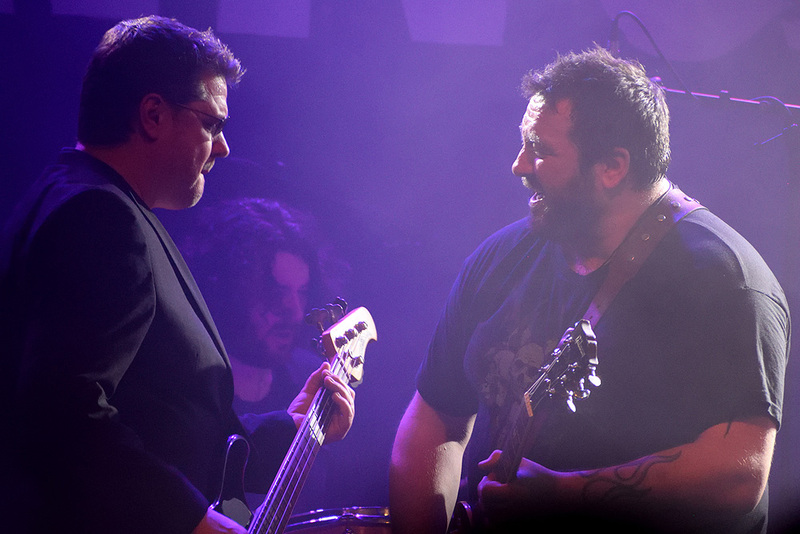 The fact that an intro tape of ‘Highway To Hell’ heralded their arrival was the strongest signal that King King perceive themselves in the rock mainstream rather than be pigeonholed, for all the blues awards they have received over the years. They opened with one of my favourites from their most recent ‘Exile And Grace’ album in ‘Broken’, supremely melodic yet an odd choice of opener with its rather pessimistic lyrics and mid-tempo pace, before ‘Lose Control’ was more direct with a Bad Company meets Stones riff. Lindsay was his usual quiet effective self on stage, his only concessions to flamboyance a sharp suit and the band’s name in rhinestone on his guitar strap, but he had to step in and save the day when Alan Nimmo inadvertently introduced the wrong song on the setlist, which became a recurring gag throughout the evening. 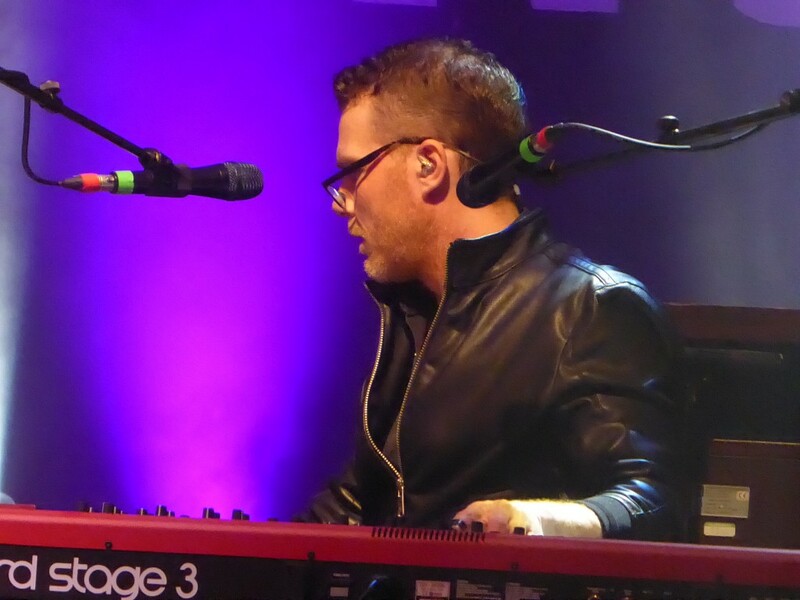 A King King set typically varies between short, punchy numbers and longer workouts and ‘Rush Hour’ was the first of the latter, featuring lengthy interplay between Alan and keyboardist Jonny Dyke, looking rather studious with spectacles balanced halfway down his nose, while the way the crowd took over the start of the song then joined in a chant later on suggested it would be high on the list of fan favourites. 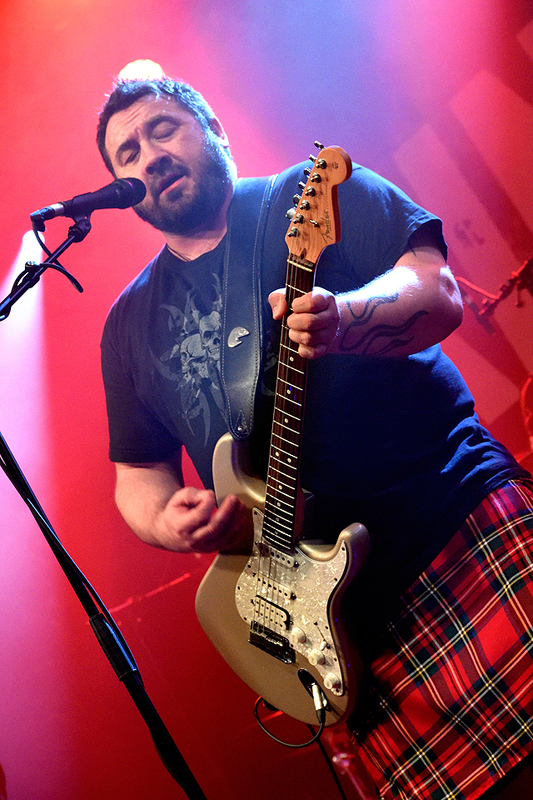 ‘Heed the Warning’ had a robust funky feel and ‘Coming Home’, touchingly dedicated to the memory of Alan’s fellow Glaswegian Ted McKenna, a smooth soulfulness with keyboards being more prominent than guitar. However, tipping the stopwatch at over 11 minutes, ‘Stranger To Love’ was a vehicle first for the band’s tightness in taking the pace right down before Alan picked it up again with a lengthy solo full of feeling. Of the shorter numbers, old favourite ‘Waking Up’ with its soothing, soulful feel had the crowd waving their arms and ‘(She Don’t) Gimme No Lovin’ rocked hard in a distinctly Thunder-esque fashion. As usual, Alan also created a good rapport with the crowd, with his earthy humour and a big smile borne of someone who appreciates his unexpected break into the big time. I was delighted at the good taste of a roadie who persuaded them to put the rarely played ‘Take A Look’ in the set, one of my favourite King King songs which reached a rather special climax as three instruments battled over the closing solo including Jonny playing piano with his left hand and Hammond organ with his right. Indeed ‘Crazy’ almost appeared as pedestrian blues-rock because of the quality of the songs either side of it, including ‘You Stopped The Rain’, dedicated by Alan to family members and featuring another fine solo from him where he imitated the vocal melody of the song. They closed with a quite superb ballad in ‘Find Your Way Home’ in which Alan showed that, in addition to his guitar talents, he can now be ranked alongside Danny Bowes and FM’s Steve Overland as Britain’s most soulful rock vocalists. For this milestone occasion they encored with two songs that date back to their earlier days – ‘Take My Hand’ had a funky groove to it, before a cover of Eric Clapton’s ‘Old Love’. It is interesting that whereas the original rock guitar pioneers were inspired by the old American blues men, they are the ones that the current generation, Bonamassa et al, are now paying homage to. It was another lengthy epic with Alan’s party piece of slowing down and playing in near silence before picking the pace up again and took the set to a healthy length of an hour and three quarters. 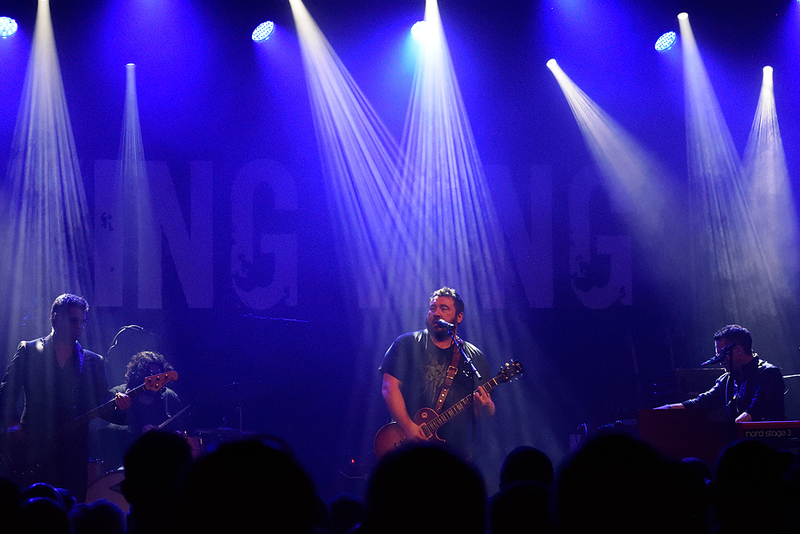 I only discovered King King over half way through this 10 year journey but by my reckoning this was the most enjoyable of their shows in this time. It was a fitting farewell to Lindsay and the new territories they plan to be hitting are in for a treat. 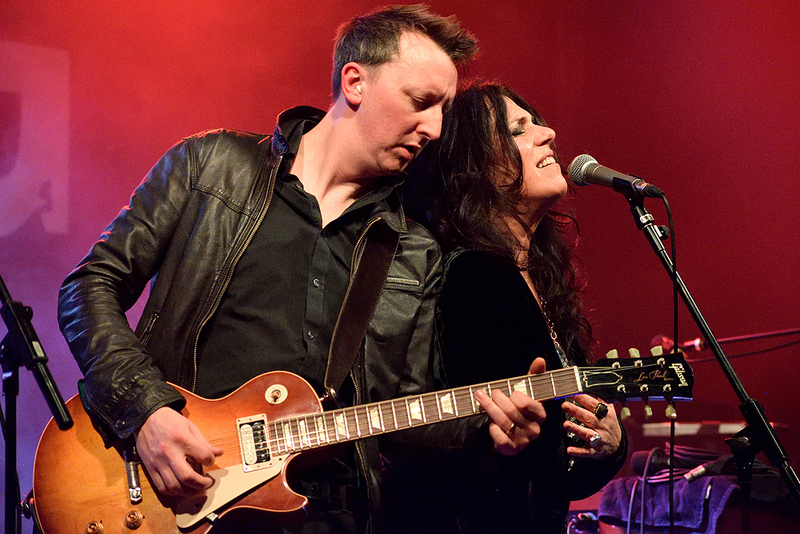 This entry was posted in All Posts, GIG REVIEWS and tagged 7 February 2019, Alan Nimmo, Ash Wilson, blues rock, classic rock, gig, Jonny Dyke, King King, Koko, Lindsay Coulson, London, review, Sari Schorr. Bookmark the permalink.